This post is supposed to be published last March after I attended a Google Adsense webinar. I am so thankful that I was invited to be part of the adsense webinar and I have learned so many things about the brief Adsense policy and most importantly on Google Adsense staying compliant. Google Adsense is a great income source and has been very helpful to their publishers and advertisers through the years. Aside from getting a good income from them as a publisher, we should always remember to stay compliant to their products and services. To maintain and promote quality products and services, google adsense have certain policies that a publisher should follow. In behavioral policy, being a publisher of Google Adsense– encouraging Clicks on google adsense is not allowed and not recommended. Finally after almost nine months from being a publisher, I received my first payment from Google Adsense. The form of payment that I choose is through Western Union quick cash. When google emailed the payment details, I pick up the payment at a nearby Western Union branch. It is not big but I am contented. 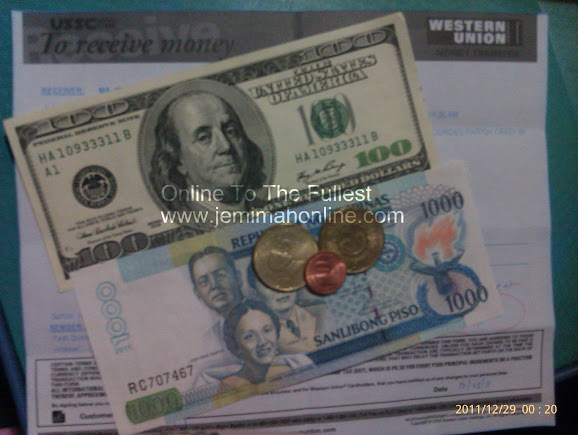 The blue link will show you the details on Receiving Google Adsense payment via Western Union here in the Philippines. The photo below is the actual google adsense payment that I received.